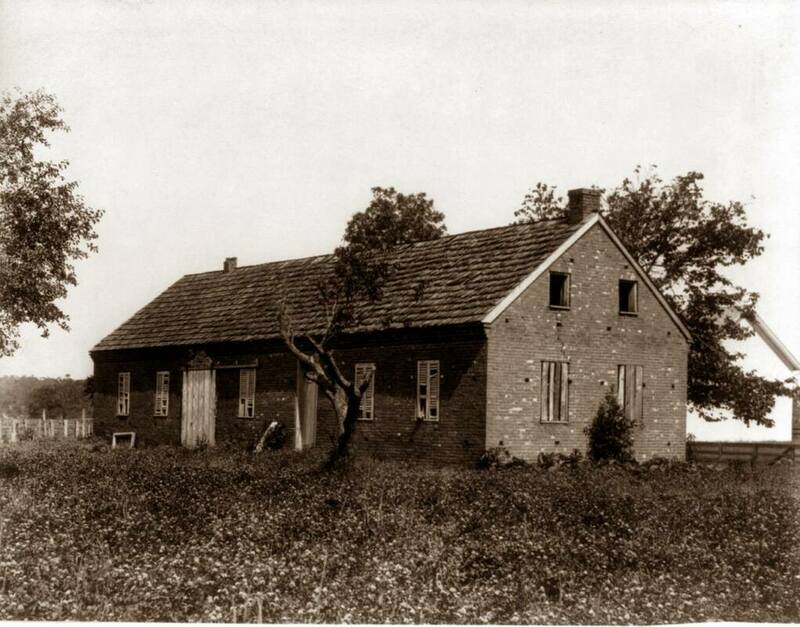 Extremely rare photo of the Greenfield Academy (also known as Blaine's Schoolhouse). Built in 1835 and remained in existence until 1846. 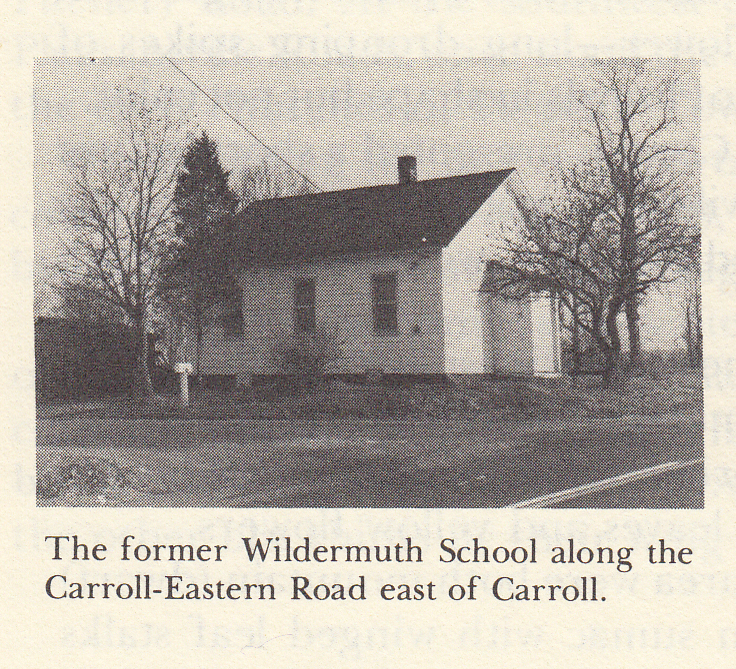 One of the very first, early educational institutions in our county, Greenfield Academy was located on the former Carroll Pike near Coonpath Road (prior to construction of SR 33), approximately 5 miles north of Lancaster. It was built by Dr. John Williams and existed for just a little over a decade. After demolition, a wood frame home was constructed on this site. It was also known as Blaine's Schoolhouse - named after former Speaker of the US House of Representatives. Photo credit/info courtesy of Dave Smith, Fairfield/Lancaster Historical Society. This was a four room high school on the bank of the Hocking Canal. Located on High Street, the front of the building faced Long Alley (near Point Street). 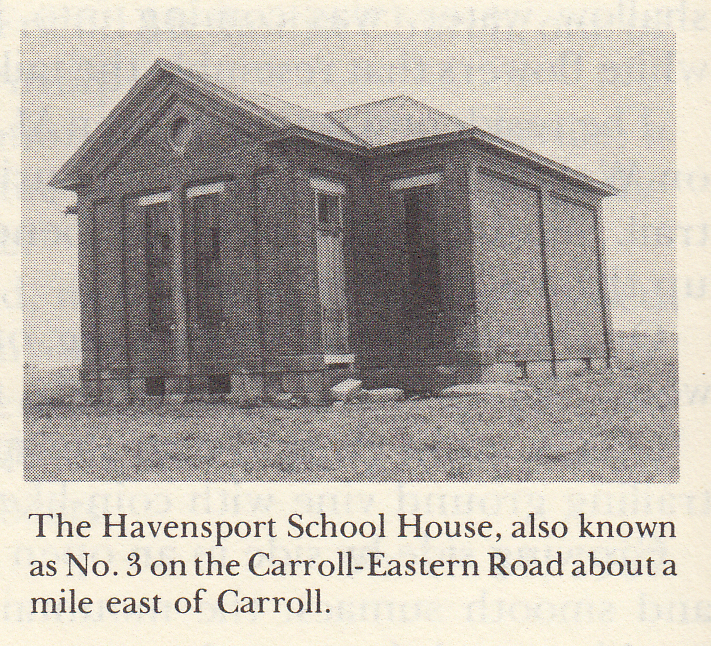 It was built in 1868 and torn down when the 1910 Carroll High School building was erected (source Middy Clum). 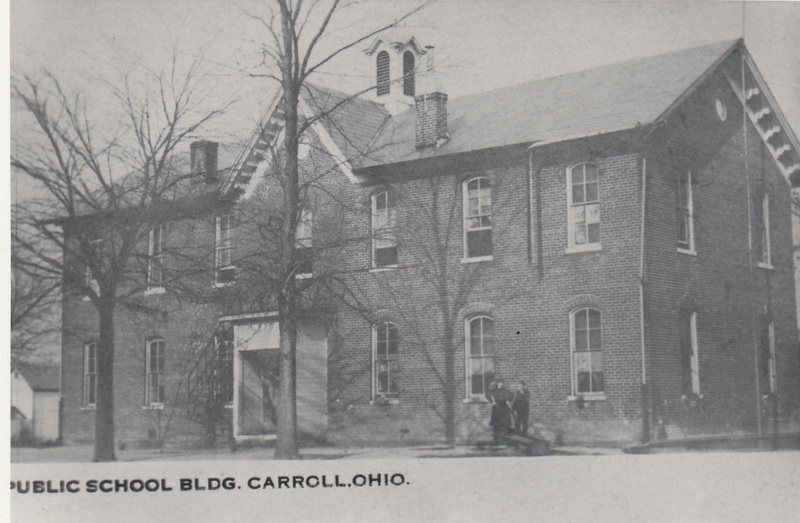 The Carroll High School Building was built in 1910 on South Beaver Street. 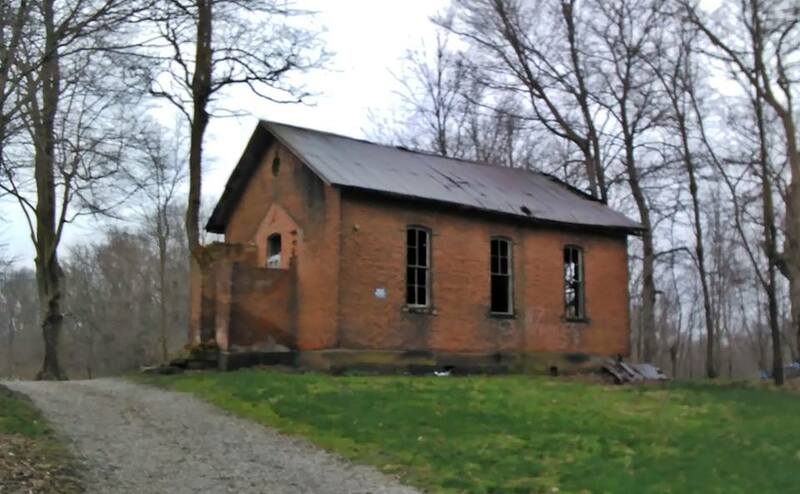 It was a source of pride as the first fire proof school building in Ohio. This school was torn down in April, 2013. In 1929, this school was built directly adjacent (right) to the Carroll High School 1910 Building. It featured a gymnasium/auditorium (with balcony), cafeteria, student lockers and more. In later years, it became the junior high/middle school building when the new high school was constructed in 1969 (behind the 1929 building, off Plum Rd.). An elementary (later primary) school building was constructed on the other side (left) of the 1910 building and is still in use today. Photo on Right: View of the extensions/expansions later added onto the 1929 building. Both the 1910 and 1929 school buildings were torn down in April of 2013 due to construction of a brand new middle school, which was built directly behind where these two buildings once stood. Both former buildings faced S. Beaver Street. An early photo of the former school, which closed in 1923.This building was purchased in early '90s and beautifully restored by the Jensen Family! It is now a private residence. Please see the Historical Homes and Places section of this website for a current photo and additional history! 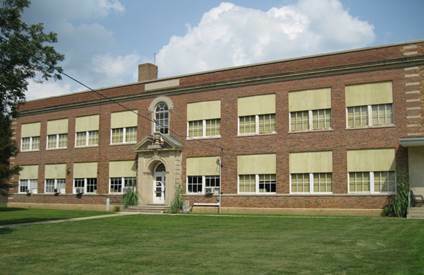 Courtright School - Greenfield Twp. 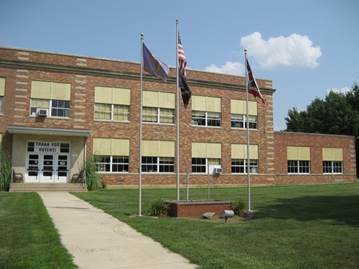 A current photo of Courtright School on Coonpath Road (near SR 33). 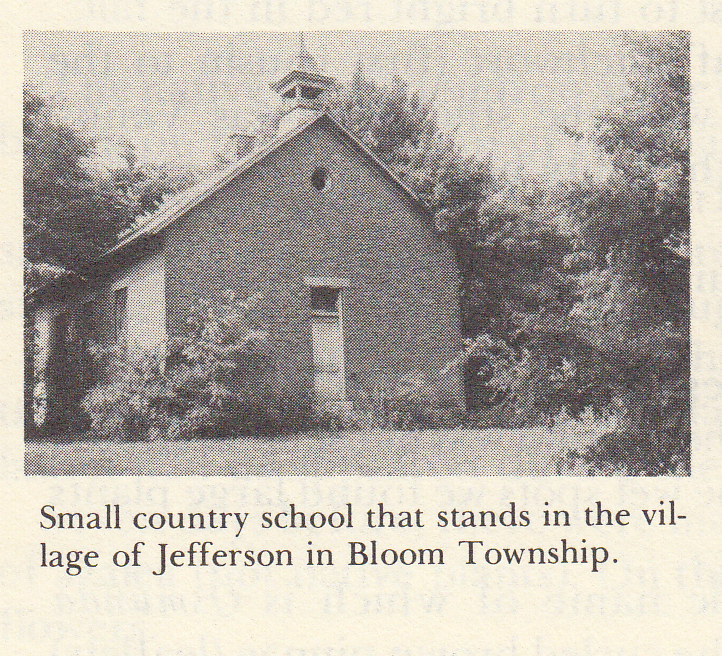 The land was granted in 1854 for a schoolhouse by the Greenfield Twp. Board of Education. Patriarch was Abraham Courtright, followed by George Courtright. Please Note: This schoolhouse is on private property, part of a private residence. 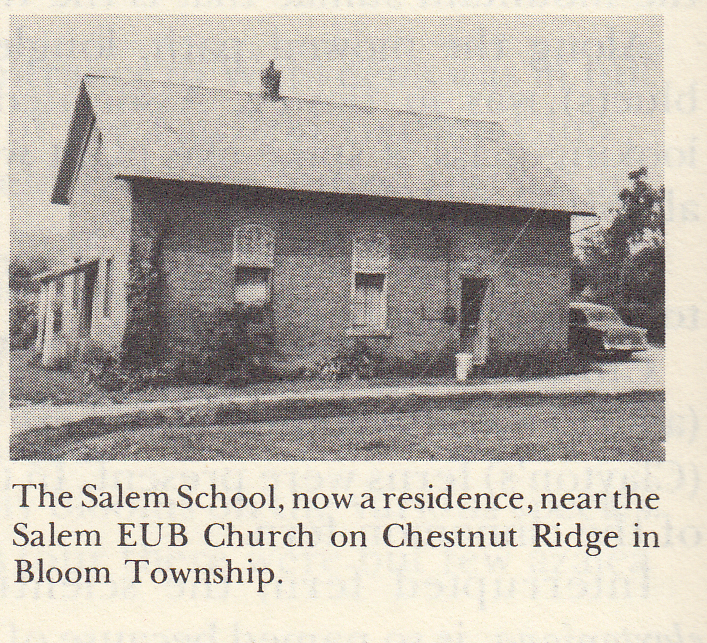 Photo Courtesy of Bremen Historical Society. 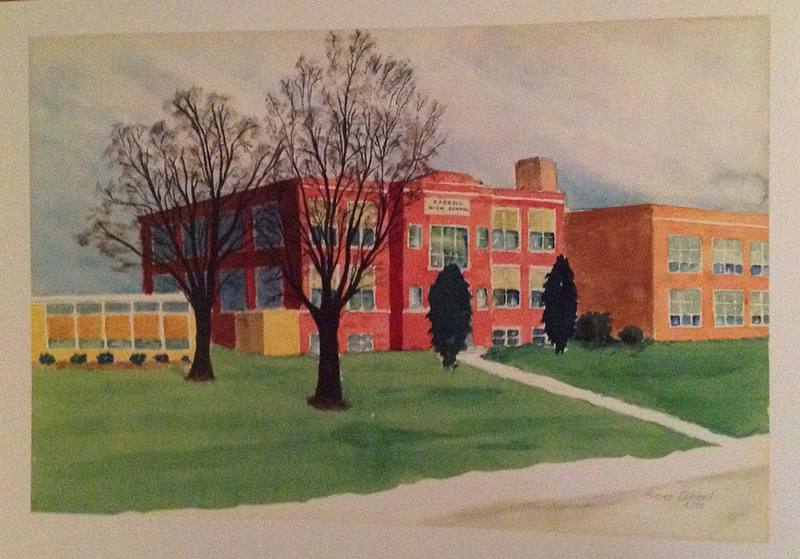 This watercolor of the Bloom-Carroll School was painted in 1973 by Homer "Ech" Echard, husband of Lee Echard the Commercial Arts teacher and presented as a gift to Bernice Fell. Picture made available by Carolyn Fell McCoy.